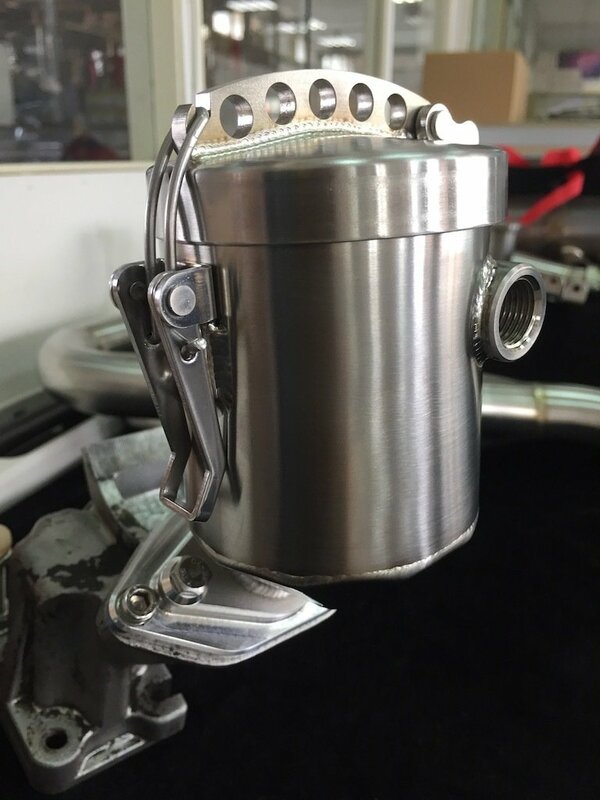 This Oil Filler Can is designed to work with Porsche 356 C with Pushrod OHV (Overhead Valve Engine) Flat-Four Engine. Will NOT WORK on 356-B T-6 with Euro exhaust & heating system. The Oil Filler for Porsche 356 C with Pushrod OHV Flat-Four Engines. The Filler Neck is sited on the CNC 6061 Aluminum Flange bolt onto the oval shape alternator stand. The Oil Filler Can has One Air Venting threaded M16 x 1.5. The internal chamber is designed to separate the oil and air, which allow air to travel freely back to Air Cleaner. Oil Filler is made by 100% Stainless Steel. with 0.4L volume gives compact extra Air Breather room for the engine.